I love to fly fish and golf, but don’t do either very much. I dink around on the computer a lot, and I find serious joy in crafting words…but lack the time to put enough together to make a book. 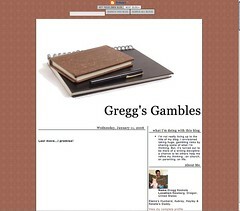 Hence this blog. 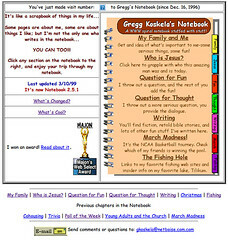 My online presence began September 3, 1996, with Gregg’s Notebook. I updated that some until 1999, and then it disappeared into the dusty corners of my hard drive. But (for a time, at least) you can still see it all right here. 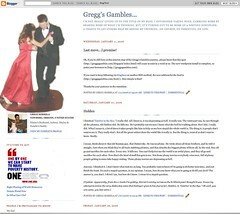 I made the move to Webjive (owned by friends AJ and Jason) last December, and love WordPress! Let’s see, I’m getting bored with this, so you probably are too. I’m senior pastor at Newberg Friends Church in Newberg, Oregon, and life is good. Thanks for stopping by!